Debt consolidation sounds like a miraculous key solution to all debt problems to most of the people. Immersing into debt isn’t a happy scenario for anyone. Debt consolidation sounds like a miraculous key solution to all debt problems to most of the people. In fact, it sounds promising in ways more than one. However, you must take into consideration that consolidating your debt is not as same as paying it off. Consolidation companies have attractive offers promising a lot of things which will make you debt free in the easiest of ways. These offers are surely tempting, but with all the benefits that come along with the debt consolidation programs, consumers should be aware of the companies that make money using your financial stressful situation. 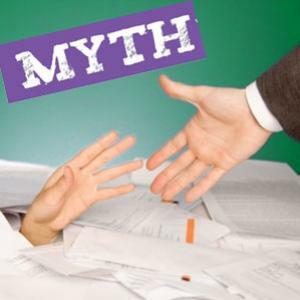 There are a few myths about debt consolidation that you should be informed about before falling in a trap from where you can never come out. You must be having a viewpoint that after enrolling into debt consolidation program, your debt will cut down exceptionally. It’s not always right. It does help, but sometimes it can also increase your overall debt. It’s better to research properly before taking up debt consolidation. There are other debt solutions that may help you better than debt consolidation. It’s advisable to calculate all the costs involved with the process before finalizing debt consolidation. There is a typical delusion amongst the debtors, while choosing a debt solution program, that debt consolidation and settlement have no difference as such. Instead, there is a vast difference between the two. Debt settlement is the method of repaying your debts by paying off a portion of the original debt amount at one go, whereas debt consolidation is the method of paying your entire debt amount in monthly installments. You should evaluate your current situation and then only decide upon which program to choose. It’s not necessary to own a home to consolidate your debt. You can opt for the unsecured debt consolidation loans when you don’t own a home. It’s only when you don’t get an unsecured loan and you’ve to go for a secured debt consolidation loan, you should own a home. It’s absolutely a myth, although the process would be easier for a debtor with good credit score, it’s not impossible if you’ve a bad score. You can be offered very high rates on your consolidation loans, but that doesn’t mean you will not be able to get them at all. At the time you sign up with debt consolidation program, it might have a mark against you on your credit report but once you start repaying on time, your credit score can increase. You can also hurt your credit score when you miss your monthly payments in the program, so make sure to pay on time. Many people assume that because it was easy to get into debt, it’s easy to get consolidation loans too. The truth, however, is the more difficulty you’re having with your debts, the harder it is to get a loan. It’s actually difficult to get a debt consolidation loan if you’ve missed your payments frequently in the past 3-6 months, or have applied for finance frequently over the last five years. It's a very common myth amongst the debtors. While there are many companies which can help you professionally to consolidate your debt, but you can also do it yourself if you know the art of negotiation with your creditors. You have to pay to the consolidation company if you enter into their program. However, you can save that money by doing it yourself. Most of the companies offering debt consolidation programs are on the Internet. You must check BBB accreditation of the company on its website. You must also check the terms and conditions of the company before signing a contract with the company. Sign the debt consolidation agreement only if you are fully satisfied with everything about the company.